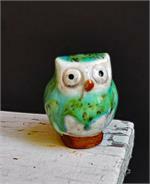 Please note that the opalescent light turquoise glaze can tend toward light green depending on the kiln firing. 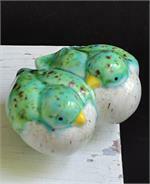 The crackled appearance of the breast is intentional. This large wren has a mottled light turquoise back; its front is speckled with a celadon crackle glaze which continues underneath. 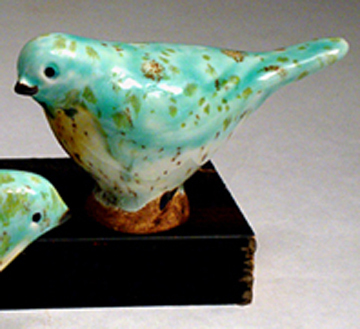 The wrens in this pair have mottled light turquoise backs; their fronts are speckled with a celadon crackle glaze which continues underneath. 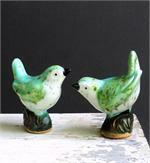 These lovebirds have a mottled light turquoise back, and their front is speckled with a celadon crackle glaze. 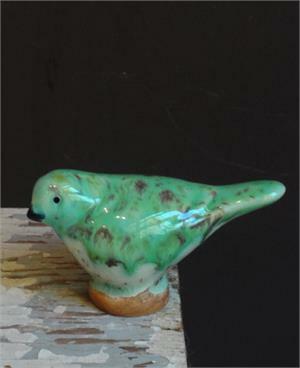 This bird has a mottled light turquoise back; its front is speckled with a celadon crackle glaze which continues underneath. 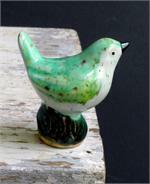 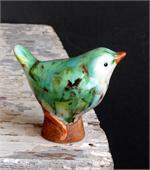 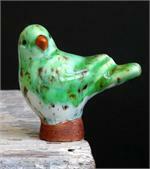 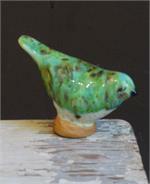 This large wren has a mottled light turquoise back, and its front is speckled with a celadon crackle glaze. 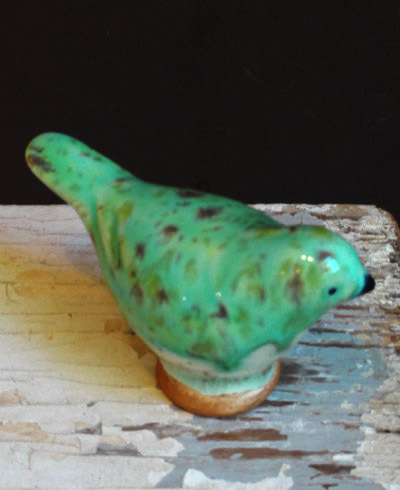 This bird has a mottled light turquoise back which runs down the front over a celadon crackle glaze; this Pistachio glaze continues underneath the rear. This is a new accent to the popular Bluebell & Pistachio Glazes. 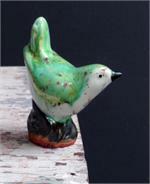 This birdy bird has a mottled light turquoise back; and its front is speckled with a celadon crackle glaze which continues underneath.